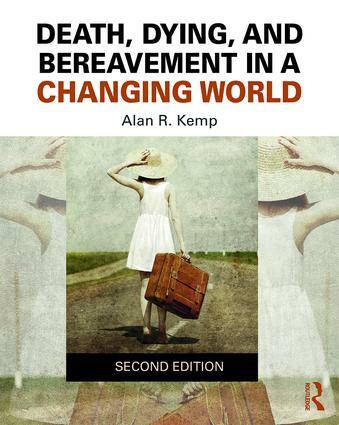 In this introductory text on thanatology, Alan Kemp continues to take on the central question of mortality: the centrality of death coupled with the denial of death in the human experience. Drawing from the work of Ernest Becker, Death, Dying, and Bereavement in a Changing World provides a multidisciplinary and multidimensional approach to the study of death, putting extra emphasis on the how death takes place in a rapidly changing world. This new, second edition includes the most up-to-date research, data, and figures related to death and dying. New research on the alternative death movement, natural disaster-related deaths, and cannabis as a form of treatment for life-threatening illnesses, and updated research on physician-assisted suicide, as well as on grief as it relates to the DSM-5 have been added.